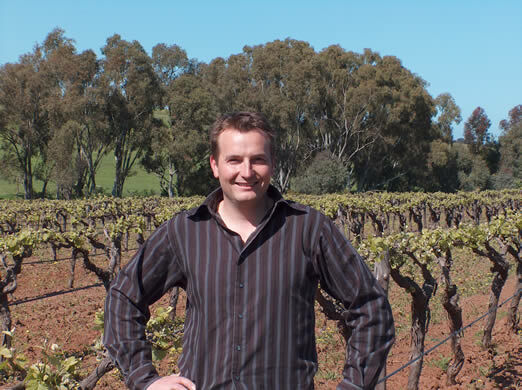 Considering that his is one of the hottest names in the Barossa at the moment, Troy Kalleske is a quiet, unassuming sort of guy. His family are long-time growers, and have been farming their property since 1853. Troy is sixth generation (his ancestors were from Prussia, now part of Poland), and in the last 150 years the Kalleske farm has grown from 60 acres to its current 500. 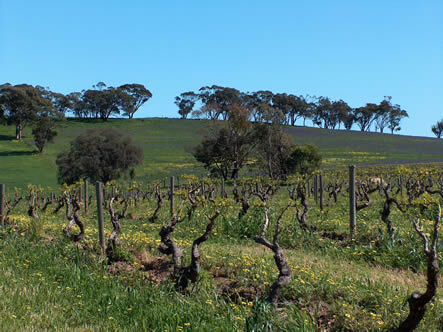 120 acres are devoted to vines, while the balance grows mainly wheat and hay. Troy worked for Southcorp for three years, then in 2003 did vintage in Sonoma, California (with Kendall Jackson) and back in the Barossa did vintage with Miranda. He made the first wines under his own label in 2002, and then escalated quantities in both 2003 and 2004. We’re in Greenock here, which is east of the heart of the Barossa. It’s at 350 metres, which is higher than most of the region, and there are cooling breezes which also help to moderate temperature during the growing season. The visit starts of quite comically (for me at least - farming types are probably used to this sort of thing). As I get out of the car I am greeted by two enthusiastic dogs (nothing unusual in that) plus a sheep. 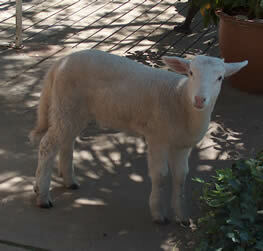 This orphaned sheep was hand-reared along with the dogs and as a result it thinks that it’s a dog. So the sheep comes bounding up, but when I reach out to pat it on the head it suddenly remembers it’s a sheep and becomes a bit more timid. Troy is certified organic, but he doesn’t want to use this information on the label – it’s not for marketing reasons, it’s because he wants balanced, living soils. 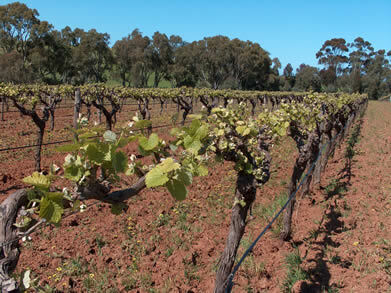 He grows Shiraz and Grenache, with a bit of Cabernet and a smidgeon of Chenin. 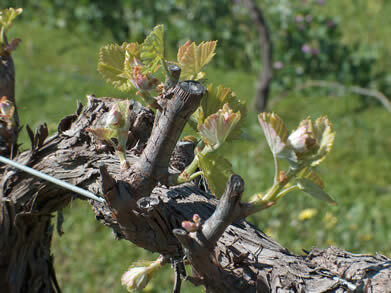 The oldest vines date back to 1875. Wines are made in open fermenters (of 1.5, 3 and 8 ton capacity). The wines are fermented warm to hot (Grenache is the hottest), they are left on skins for 1 or two weeks and then basket pressed. 6000 cases are currently made, with a bit more again of contract wine making.